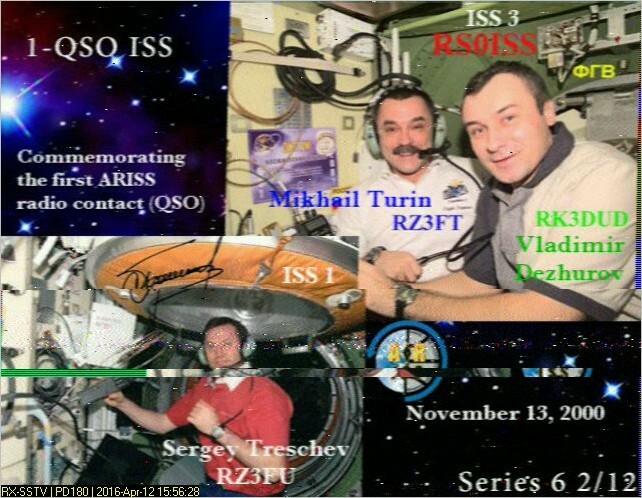 ARISS Russia is planning a special Slow Scan Television (SSTV) event April 11-14 from the International Space Station in celebration of Cosmonautics Day. The transmissions are to begin on April 11 at 11:30 UT and run through April 14 ending at 18:20 UT. The transmissions which were coordinated with the ARISS scheduling team, will be made on 145.800 MHz FM using the PD-120 SSTV mode.